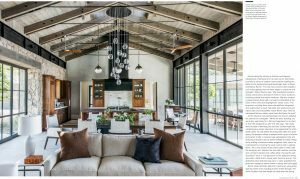 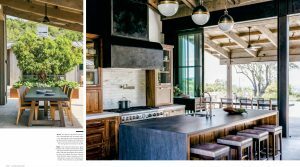 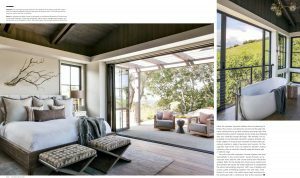 This weekend wine country getaway just east of the town of Sonoma is featured in the May/June issue of Luxe Magazine. 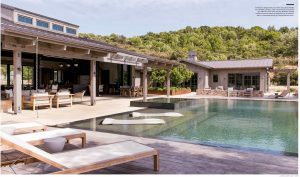 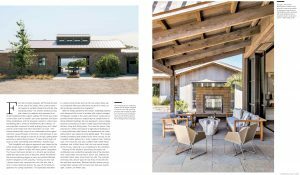 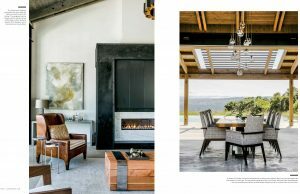 The compound of refined rural vernacular buildings featuring locally quarried stone, cedar, and steel was designed by Michael Guthrie+Company of San Francisco, and built by Jon Reiter Fine Home Building, with interiors by Jeff Schlarb of Green Couch. 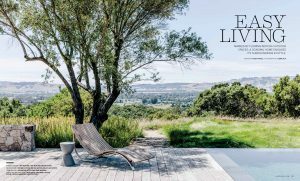 The landscape, installed by Sonoma Mission Gardens, features site walls of the same local stone, and a series of rusted steel planters, walls, fire pits, and water elements, and carefully placed boulders stockpiled during construction.